On Saturday morning, Inept-Deal-Maker-in-Chief Donald Trump got on Twitter yet again, this time to tell his followers to tune in to Jeanine Pirro’s Fox News joint, Justice. 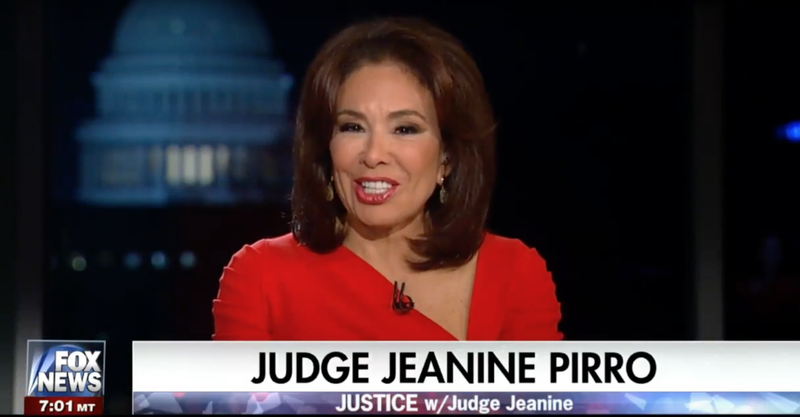 The show began—as, I suppose, it always does—with Pirro earnestly telling her audience, “Hello and welcome to Justice.” With that out of the way, Pirro launched into a vituperative monologue on the subject of House speaker Paul Ryan and the failed Republican healthcare bill, in which she called for his resignation. Jeanine, thank you for reminding me that Congress has a basement full of Paul Ryan’s tears.